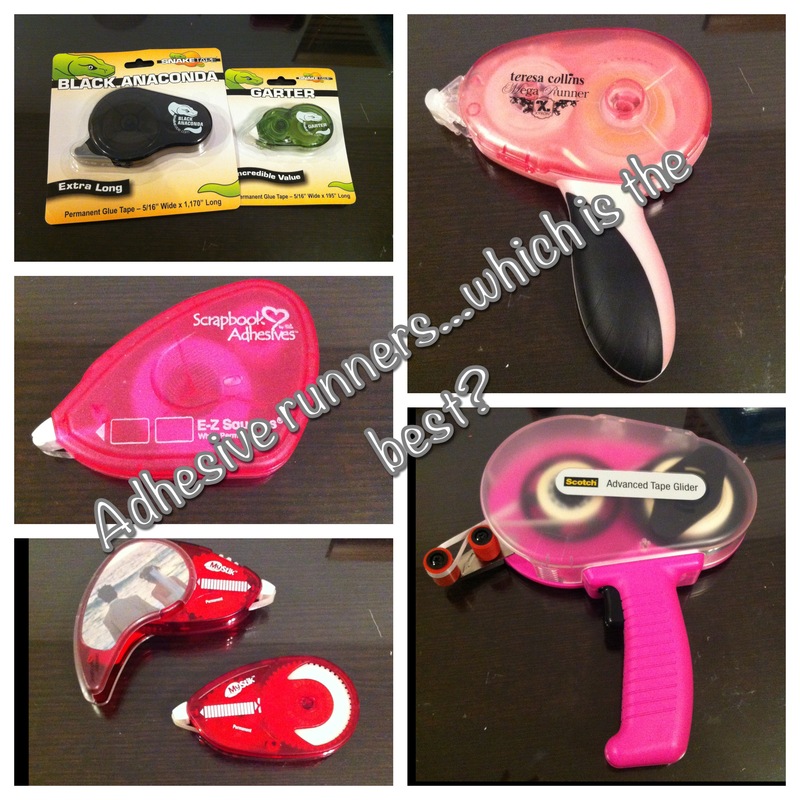 Adhesive Runners…so many options…but which one to choose?! I don’t know about you…but I’m always on the look out for good adhesive. Adhesive is as important as the paper you use (in my opinion anyway). I feel I have this beautiful paper and a project in mind…but I better have good adhesive to make it happen. Its like mac to cheese! The adhesive is truly permanent– reminding me of red tape. You’re project will definitely hold up. Adhesive rolls are large that you don’t need to worry about running out of adhesive in the middle of a crop or project. The size of the ATG can become heavy after some time that I have reached out for my handheld runner for a break. Trying to open that clear lid to load the initial adhesive roll was ridiculously tough I almost gave up and thought I had a malfunctioned unit. Once it opened, I had no problem closing and opening the unit since…kinda odd. Xyron is well known for adhesive so I was extremely excited to try a Xyron runner only to sadly say I was a little disappointed. Stylish! 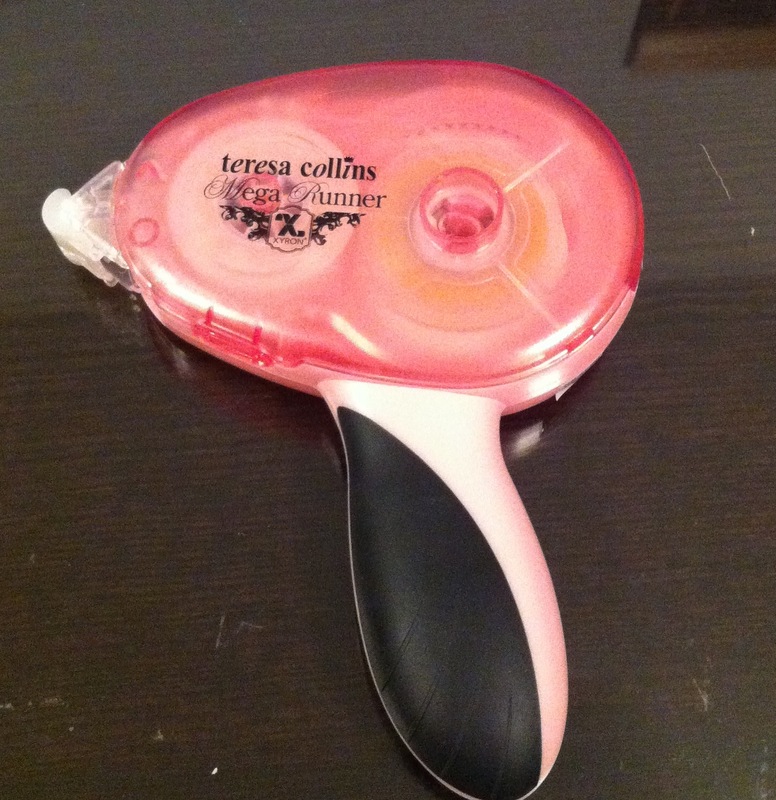 Very cute and of course it’s Teresa Collins! You have to hold the runner at 45 degrees or higher and move slowly across the paper if you want your adhesive to be even and not patchy. When you go a bit fast and/or hold the runner lower, you will have inconsistent and patchy adhesive on your project. The adhesive is not permanent! Why?! This was the biggest let down. In the night and days after I made a mini album, the paper started coming off from so many pages I had to use other adhesive to re-stick several portions of my project. 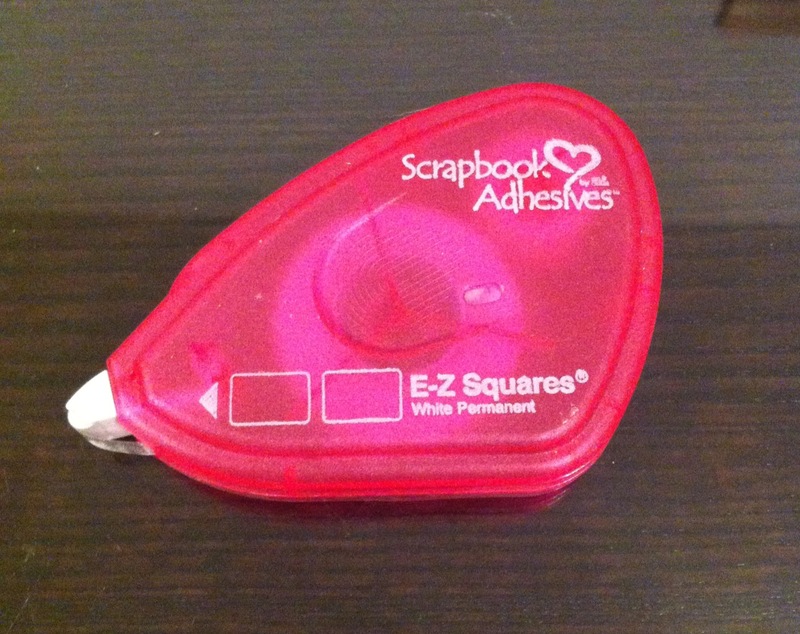 Scrapbook Adhesive EZ Runner is the exact same formulation as the MyStik in red. This runner is from the same company as the MyStik. I love that they color-code the difference between the EZ Runner (above/red) and this E-Z Square Runner. 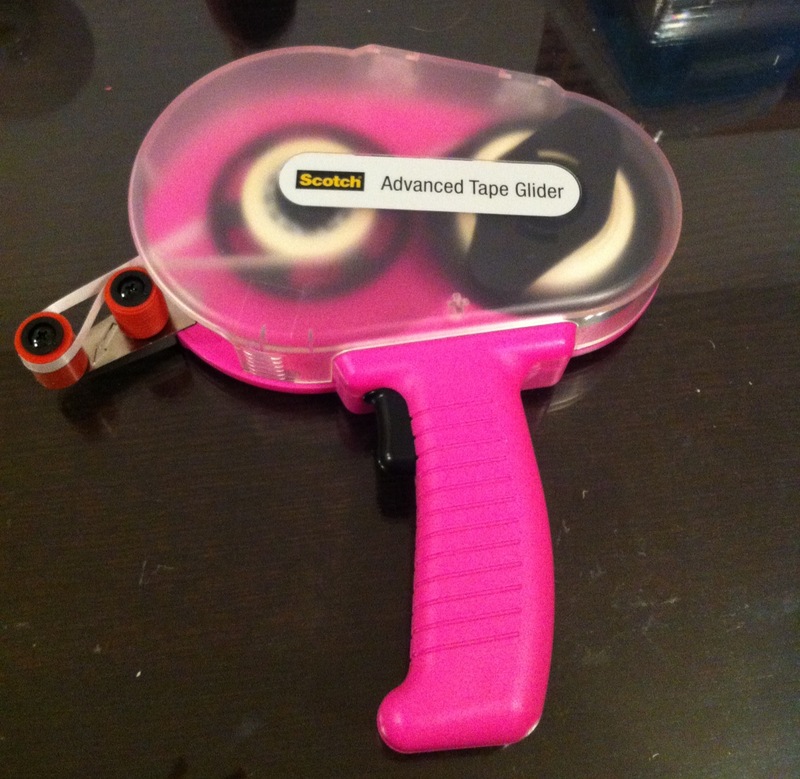 So after all is said and done… I prefer the MyStik EZ Runner for scrapbooking pages first, then the ATG. For cards I like the Snake Tape and Xyron Mega Runner (only because I am afraid that if I use it for my projects the adhesive will come apart). The EZ Square Runner I will only use to wrap candy bars. 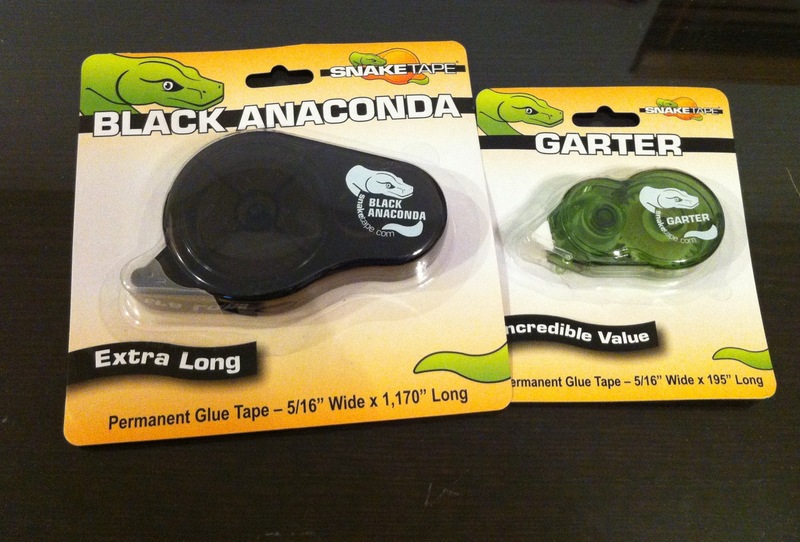 I would love to find one perfect adhesive runner that will be the end all be all…but my quest continues. 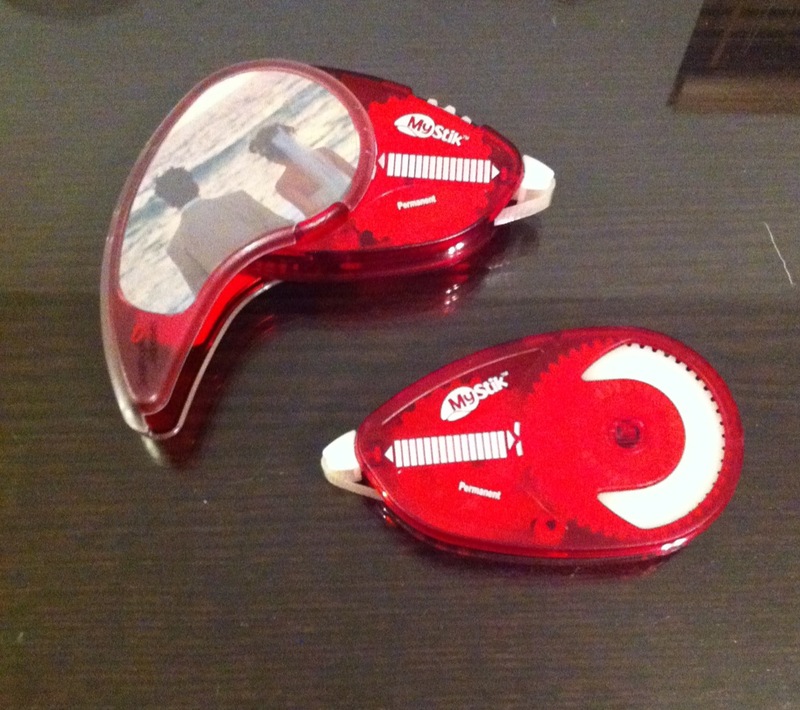 Please let me know if you have any adhesive runner suggestions…I am open to trying new ones.